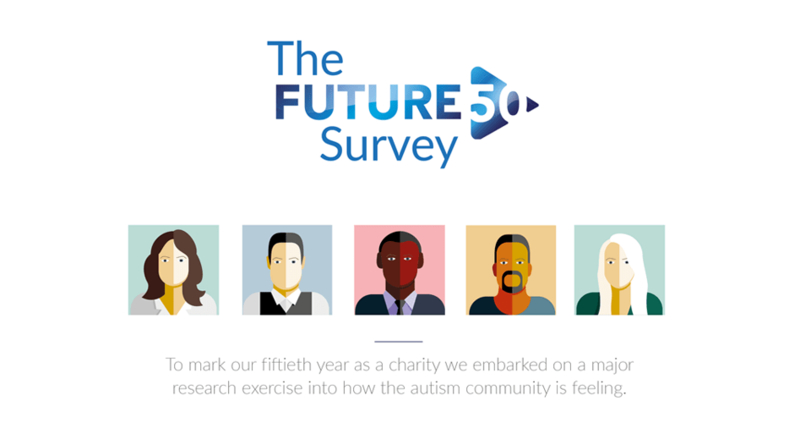 To mark our fiftieth year as a charity we embarked on a major research exercise, the Future 50 Survey, into how the autism community is feeling. Picture a future world where autism is not just accepted, it’s honoured. Where people who think differently work alongside us – and guide us, in areas in which they excel. In this new world they’re held in the highest regard for their unique contributions. Imagine futuristic technologies helping people with complex and challenging autism live happier, more productive lives. Are we sounding idealistic? Absolutely. But real change begins when people think big. Autism Together started life in 1968 as the Wirral Society for Autistic Children. We’ve grown to become one of the country’s leading providers of support to people with autism. This is our 50th anniversary year and rather than spending it looking back, we’re looking forward; forward to the next 50 years. 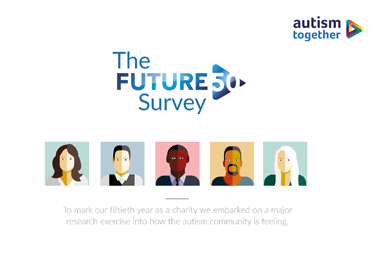 Our Future 50 report is a unique insight into how the autism community is feeling now, how you want to shape the immediate future and how – given the creativity autism is famous for – you’d like to imagine a future world. You heard it here first.